Kyle Busch matched Kevin Harvick in 2018 NASCAR Cup Series wins with eight when he took the checkered flag in the Can-Am 500 at ISM Raceway near Phoenix on Sunday. The win also cemented his entry into the championship four battle in the Nov. 18 season-finale at Homestead-Miami Speedway. Busch will battle Martinsville race winner Joey Logano, Texas Motor Speedway winner Kevin Harvick, and Martin Truex Jr. who advanced to the final on points after finishing the race in 14th. 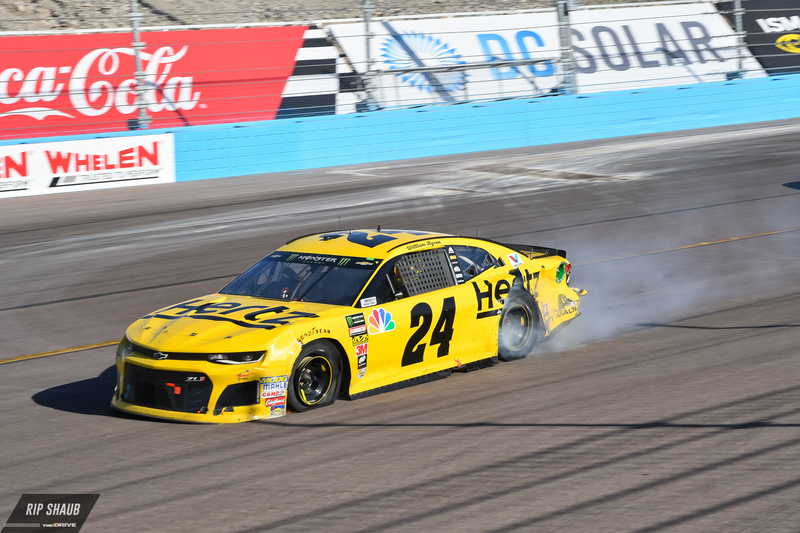 Eight drivers were in the playoffs entering the ISM Raceway event, but only four left the track still in contention for the title. Aric Almirola was eliminated despite finishing fourth Sunday. Also eliminated were Clint Bowyer, Kurt Busch, and Chase Elliott. Kyle Busch took his race-winning lead, going from eighth to first on the same restart. Already locked into the championship four, Logano’s race also ended early when he hit the wall on Lap 95. The caution that resulted from Logano’s wreck benefitted Harvick. Harvick started on the pole and led the first 72 laps of the race before falling off the pace and pitting with a flat right-front tire on Lap 73. As a result, he went a lap down. He got back on the lead lap during Logano’s caution. Elliott inherited the lead from Harvick’s trouble and was the winner of the opening stage that ended a couple of laps later on Lap 75. After running second to Harvick through most of the opening stage, Elliott raced behind one of Harvick’s teammates, Kurt Busch, early in the second stage. 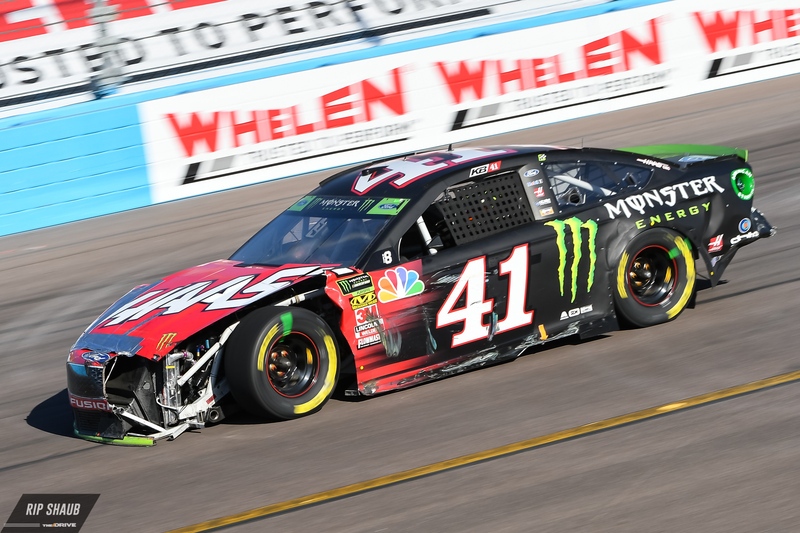 Kurt Busch got out of the pits ahead of Elliott after the opening stage but went from the lead to off the lead lap when he was penalized for passing the pace car as he ducked to pit road during Bowyer’s caution. Kurt Busch got back on the lead lap when Tanner Berryhill spun and brought out the fifth caution of the race on Lap 228. Kyle Busch was the winner of the second stage that ended on Lap 150 after taking his first lead of the race six laps earlier. He would then drop to eighth in the final stage before climbing back to first, a move which he made on the restart following the incident involving Kurt Busch and Elliott. He retained that position until the checkered flag where he clinched his championship round berth. The 2018 season will conclude at Homestead-Miami Speedway, with the final race weekend of the year culminating in the NASCAR Cup Series race there on Nov. 18. The highest race finisher among the championship four drivers—Joey Logano, Kyle Busch, Kevin Harvick, and Martin Truex Jr.—will be crowned king. Reigning Cup Series champion Martin Truex Jr. won the HMS race last year. Since the implementation of the playoff elimination format in 2014, each year’s championship has been claimed by winning the race at Homestead.